The Canon EOS 400D / Rebel XTi is a much more significant upgrade than anyone expected. Many believed it would simply follow in the same footsteps as the EOS 30D by sporting a bigger screen and Picture Styles, but keeping the same sensor as its predecessor. But while we did get the screen and Picture Styles, it was a surprise to also find a higher resolution sensor and a new active dust removal system. 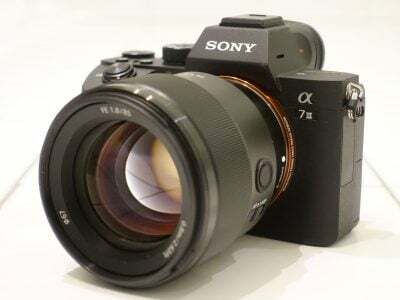 Of course the new sensor allows the 400D / XTi to compete on a level playing field against its two toughest rivals, the Sony Alpha A100 and Nikon D80, while anti-dust is a feature many digital SLR buyers are looking out for, and one which is present to a lesser extent on the Sony. As such, the only thing which seems to be missing from the standard 400D / XTi package is anti-shake. Canon may offer a number of lenses with effective Image Stabilisation, but like Nikon, the feature isn’t included in the budget kit lens. Instead you’ll need to budget significantly more for a better lens. This was never an issue in the past, but now the Sony Alpha A100 comes with anti-shake as standard at a low price, the pressure is now on Canon and Nikon to also offer a suitably equipped budget lens option. Sadly this hasn’t happened yet for either the 400D / XTi, or Nikon’s forthcoming D80. If you want Image Stabilisation, you’ll need to spend more on a better lens. In every other respect though the new EOS 400D / Rebel XTi doesn’t disappoint. While noise levels and image preview times are fractionally impacted by the higher resolution sensor, neither are cause for concern. The 400D / XTi still delivers silky smooth images, is usable at its highest sensitivities and feels very responsive overall. And while our outdoor results show there isn’t a great deal of difference between 8 and 10 Megapixel images, the 400D / XTi resolved measurably greater detail in our labs tests to become the highest resolution Canon digital SLR with an EF-S lens mount. The bigger screen, while long overdue, is also welcome, as is the move to use it for displaying a wide variety of shooting information. It’s easily visible under all but the very brightest conditions and while the battery life may be slightly reduced, there was already plenty in reserve. We’re also pleased to see the 30D’s nine-point AF system, although a little disappointed there’s no spot-metering. Finally, the various anti-dust systems, while not 100% infallible, are a big step forward for Canon. The way the filter vibration can be over-ridden along with having dust data automatically appended to all images with little impact on file size are both very well thought-out implementations. But before our final verdict, how does the competition measure up and is it worth upgrading from an earlier Canon digital SLR? Owners of the original EOS 300D / Digital Rebel who avoided the 350D / XT will find it hard to resist the new 400D / XTi. Upgrading will get them a smaller and lighter body with much faster startup, along with a considerably higher resolution sensor, bigger screen, improved AF and anti-dust capabilities. They’re all big step-ups and well worth making the move. Do look out for 350D / XT bargains though. There’s fewer reasons for existing EOS 350D / Rebel XT owners to upgrade, but more than were offered to 20D owners when the 30D came out. So 350D / XT owners can look forward to slightly higher resolution images, a bigger screen, improved AF and of course anti-dust capabilities. If you like the sound of all the benefits then go for it, but don’t upgrade for the sensor alone, as it makes little difference in real-life. Indeed if you’re a 350D / XT owner who mostly uses the 18-55mm kit lens, you’ll be better off upgrading your optics. For more details see our Canon EOS 350D / Rebel XT review. The Sony Alpha A100 is set to be one of the EOS 400D / Rebel XTi’s greatest rivals. Both have 10 Megapixel resolution, anti-dust capabilities and use their screens for shooting information. The big advantage of the Sony is of course its anti-shake capabilities, which to have on the Canon would require additional investment in Image Stabilised lenses; the Sony kit lens is also slightly longer. In its favour, the Canon has lower noise levels and more powerful anti-dust features, but ultimately the Sony pips it to a higher rating because it features anti-shake and a slightly longer 18-70mm lens in a kit that’s around the same price as the 400D. It’s a tough draw though and the final decision for many will boil down to personal preferences in looks, handling and brand loyalty. For more details, see our Sony Alpha A100 review. The Nikon D80 is also set to be a big rival for the 400D / XTi, not to mention the Sony A100. Like the others it features 10 Megapixel resolution and a 2.5in monitor, although unlike Canon and Sony, it includes a separate LCD screen for shooting information which may be preferred if you work under very bright conditions. The D80’s bigger and heavier than the 400D / XTi, especially when its typical lens bundles are taken into account, but the build quality is higher and the grip more comfortable. It also boasts a much bigger view through its viewfinder along with a handy option to overlay a grid for composition. 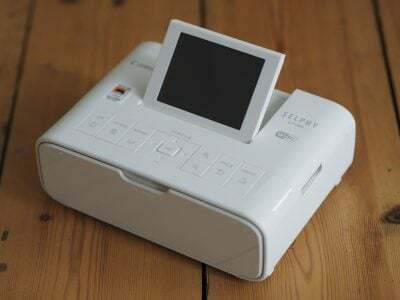 Other features include an 11-point AF system, powerful flash options, broad customisation and excellent metering. On the downside there’s no physical anti-dust system, nor any anti-shake in the standard lens bundles. Crucially the D80 is also pricier than the 400D / XTi which will see many people opt for the more affordable Canon. That said, in terms of traditional photographic control and features, it excels. See our Nikon D80 review for more details. Despite being Canon’s entry-level digital SLR, the EOS-400D / Rebel XTi actually competes on several levels with the higher-end EOS 30D and even beats it in some respects. 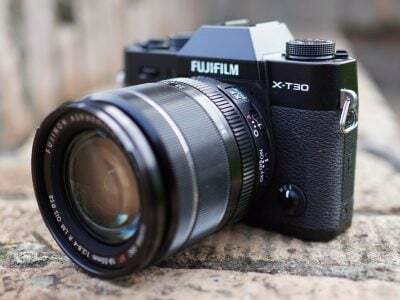 Both now feature a 2.5in screen, Picture Styles and the same nine-point AF system, but the new 400D / XTi also sports a higher resolution sensor and anti-dust capabilities, while of course costing less too. In its favour, the 30D boasts superior build quality, much faster 5fps continuous shooting, spot-metering, 3200 ISO and a PC Sync port for external lighting, but many owners will still regard Canon’s new baby with envious eyes, and potential 30D buyers will undoubtedly carefully compare the two. For more details, see our Canon EOS 30D review. Ultimately the Canon EOS 400D / Rebel XTi is a great entry-level digital SLR which improves on its predecessor in many respects. It has higher resolution without compromising noise levels, a wide variety of anti-dust features, a bigger screen which doubles-up for detailed shooting information, the AF system of its bigger brother and fast overall handling. The only thing that’s missing is a cheap lens bundle with Image Stabilisation. This will undoubtedly have potential buyers carefully weighing it up against the Sony Alpha A100 which costs much the same, while those with a little more to spend may be tempted by the superior traditional performance of the Nikon D80. But this aside, it’s hard to fault the EOS 400D / Rebel XTi. Canon already had a great product with the 350D / XT, but rather than resting on its laurels has upped the ante and delivered a worthy successor. The new 400D / Rebel XTi is a great camera to use, produces excellent image quality and is one of the best budget digital SLRs to date. It may have very tough rivals, but still comes Highly Recommended. To check out the camera in the flesh and for an overview of its headline features, check our EOS 400D / Rebel XTi video tour, and to see which Canon lens makes the best-general-purpose upgrade, see our EOS 400D / Rebel XTi lens group test. Check out our 10 Megapixel DSLR group test to see how the 400D / XTi compares against the Nikon D80 and Sony A100, and visit our Budget DSLR Buyer’s Guide for an update of the best buys around right now.